【6 Styles of LED Themes】You can enjoy the LED light show when enjoying the music. 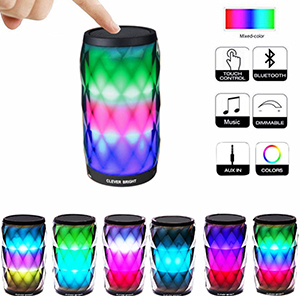 LED light be divided into 3 segments on the speaker,tap the mesh on top of the speaker,provide 6 different colour change themes patterns.Tap the top to turn lights on&off. The LED Light is capable of working independently. 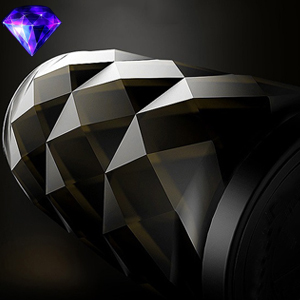 【Noble & Elegant Diamond Look】CLEVER BRIGHT adopt diamond shaped acrylic material,108 face diamond cutting surface composition technology,324 cutting processes and 26°Edges and corners angle of elevation design thus giving that extra shine & dazzle. 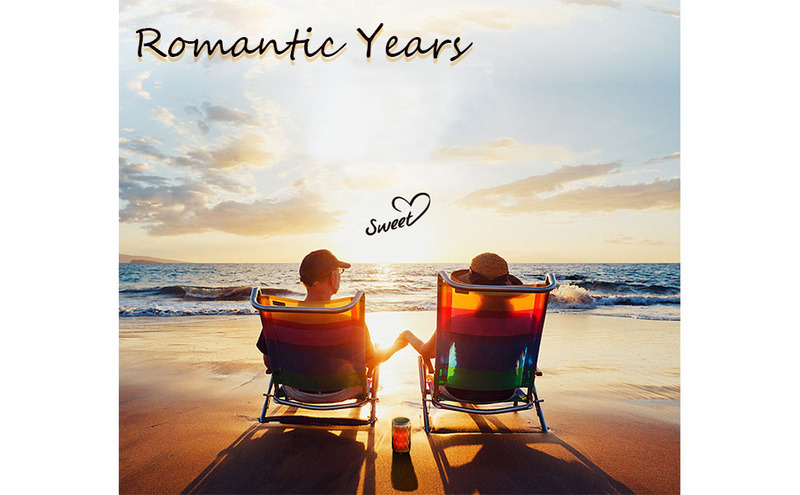 It's portable and suitable for all occasions.Like a piece of art, wherever it be placed, it always looks noble and elegant. 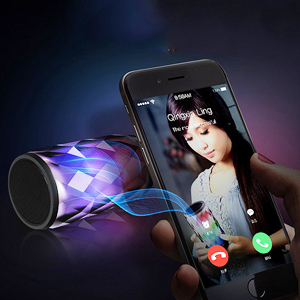 【Wireless Portable Speaker】Wireless Bluetooth speaker only 6.8*6.8*14.5cm, 362.1g, portable size and light weight, can be put in your bag, supports all bluetooth devices for audio playback as well as Aux line-in,wherever you go very convenient. 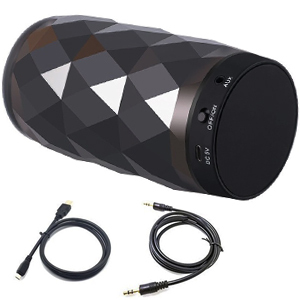 【Built-in Mic and Hands-Free】You can conveniently pick up a call by this portable Bluetooth speaker in car, bathroom, at home or office,calling quality is stable,anywhere during it is connected to your Smart phone. IPX4 waterproof(splashroof). 【Easy to Connect & Control】Bluetooth 4.1 design, easy to find and connect the Bluetooth,let Bluetooth connection is more stable,easy to control and connect your smart-phone,tablets,laptop,desk computer and other all Bluetooth compatible devices. 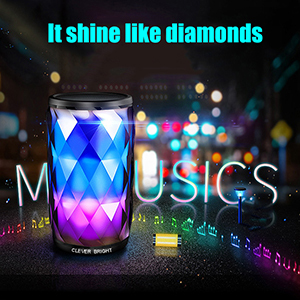 Elegant Style---Wireless bluetooth speakers are made from diamond shaped acrylic material thus giving that extra shine & dazzle offer you the beautiful enjoying not only for ears and eyes, but also for your soul. 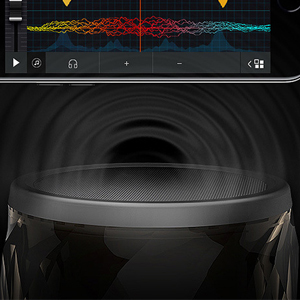 HD & Bass SOUND---Good noise isolation which reduce outside noises and enable clearer sound to create the optimal environment for listening to your favorite tunes,built-in microphone with echo and noise cancellation from mic for clear calling and friends chatting. 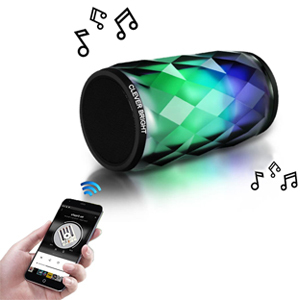 Bluetooth 4.1 Connectivity---Unlike most other speakers, CLEVER BRIGHT uses the very latest Bluetooth technology to maximize device compatibility and pairing speed. Professional audio processing, give you the sound you want. Whether you're listening to music, watching a video, or making a hands-free call, it's always loud and powerful. The feel will tell you: It is more like a piece of art, wherever it be placed, it always looks noble and elegant. 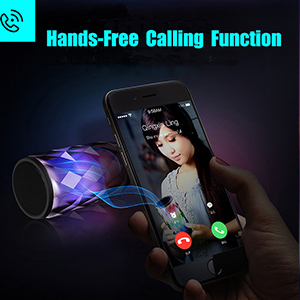 Hands-free calling function--- Release your hands, release yourself. 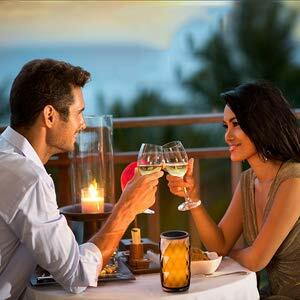 Broad Match---Can be connected with mobile phones, computers, tablets, gaming devices, VR and other Bluetooth devices, without limits, enjoy the freedom and wonderful of wireless digital. 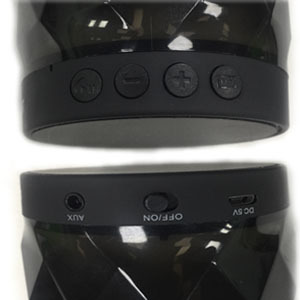 Smart Bluetooth---10 meters wireless Bluetooth transmission distance. Touch control---6 colorful lighting effects, you can switch it follow your heart. 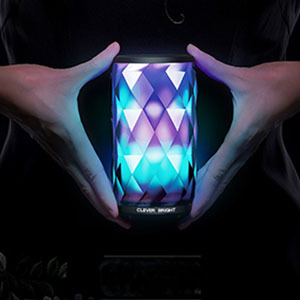 LED Portable Wireless Bluetooth Speaker carries to you not only the enjoyment of hearing, but also the visual impact and the pleasure of the mind.